The delay from the time a case is filed at the Immigration Appeal Division (IAD) of Canada’s Immigration and Refugee Board has reached three years and even longer in some files. 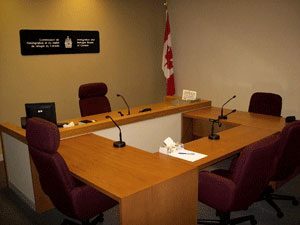 So, people who have received what they feel is an unfair decision by a visa office refusing the sponsorship of their spouse from outside Canada, or persons who have received a determination that they have not satisfied their permanent residency requirements for Canada, must put their life on hold for this entire period. Not only that, if they eventually win their case at the IAD, the government might decide to contest a favourable ruling at the Federal Court, which could delay a final decision for another eight months or even longer. These long delays risk bringing the integrity of the entire immigration system into disrepute. The appeal system enacted by Canada’s Parliament as a safeguard against possibly unfair decisions by individual officers has become so inefficient that it is no longer a viable option for many people. The government must step in to fix the system. I remember well a few short years ago when the delay between filing an appeal and having the hearing was less than one year. The Supreme Court ruled in the 2016 Jordan case that excessive delays in criminal matters amounted to a violation of rights provided in the Canadian Charter of Rights and Freedoms. The legal maxim “Justice delayed is justice denied” is no less applicable to immigration appeals as well. Meanwhile, if your own case has been refused, and you are eligible to appeal at the IAD, there might be other options available to you. We enjoy assisting clients with developing strategy to deal with such problems. Why not reach out to us now?